The least developed type of human embryonic stem cells, known as “naïve” pluripotent stem cells, consume more sugar than “primed” pluripotent stem cells, which are embryonic stem cells from later in development, researchers at the Eli and Edythe Broad Center of Regenerative Medicine and Stem Cell Research at UCLA have discovered. Altering the sugar metabolism of pluripotent stem cells can enhance their ability to yield tissue-specific cells, such as neural cells, the research also revealed. This finding could help stem cell scientists create healthy tissues or cellular therapies that hold potential for treating human diseases. In general, pluripotent stem cells are able to create any tissue-specific cell in the body, such as skin, bone, blood or nervous system cells through a process called “differentiation.” But not all pluripotent stem cells are the same. Naïve stem cells are early stage embryonic stem cells and primed stem cells are later-stage embryonic stem cells; scientists are investigating if this difference in developmental stages affects the cells’ differentiation abilities. One of the factors that may affect differentiation is a cell’s consumption of sugar. Previous studies have shown that primed stem cells use more glucose — the main form of sugar in the body — than mature, tissue-specific cells, but the metabolism of glucose in naïve stem cells versus primed stem cells had never been directly compared. 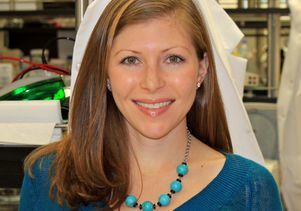 Christofk and her colleagues measured how much glucose various cells were consuming by measuring the glucose in their surroundings over a 24-hour period. They also tagged glucose molecules, allowing the researchers to follow the glucose into each cell to see how it was being used. They performed these experiments on both naïve and primed stem cells, as well as cells grown in different culture conditions. To study the effect of metabolism on the differentiation of pluripotent stem cells into neural cells, the researchers turned to a molecule that hinders the ability of cells to metabolize glucose. The observation that naïve human stem cells use up to four times more glucose than primed stem cells suggests that there are fundamental differences in biology between the two types of pluripotent stem cells. 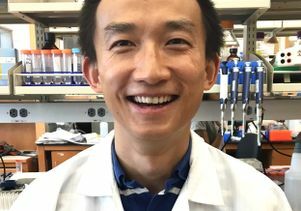 “Not only do naïve cells consume more glucose, but the way they use it is quite different,” said Wen Gu, first author of the study. Altering cells’ access to glucose, he said, could change other properties, including their tendency to differentiate. When the researchers reduced glucose metabolism in pluripotent stem cells, three times as many cells differentiated into neural cells. The study also demonstrated the importance of using human embryonic stem cells and not relying solely on mouse stem cells to study human stem cell biology. Previous research has shown that in mice, naïve stem cells actually use less glucose than primed cells, the opposite of what Christofk and Gu found in human embryonic stem cells. They also found that cells cultured under different conditions — which researchers typically use interchangeably — had different patterns of glucose metabolism. More work is needed to explain exactly why that is and how metabolism is linked to differentiation. This study was a collaboration among researchers at three labs at the UCLA Broad Stem Cell Research Center: Christofk; Bill Lowry, co-corresponding author of the study; and Kathrin Plath. Christofk is an associate professor of molecular and medical pharmacology and biological chemistry; Lowry is a professor of molecular, cell and developmental biology; and Plath is a professor of biological chemistry. Other authors of the study are Gu, a graduate student in the Department of Molecular and Medical Pharmacology; and Xavier Gaeta, Anna Sahakyan, Alanna Chan, Candice Hong, Rachel Kim and Daniel Braas, all of UCLA. The study was published in the journal Cell Stem Cell. The study was funded by grants from the California Institute for Regenerative Medicine (TG2-01169), the National Institutes of Health (5P01 GM099134), the UCLA Broad Stem Cell Research Center and the CONCERN Foundation.